Sometimes most of us want to control their PC with one hand only e.g, while having coffee etc. 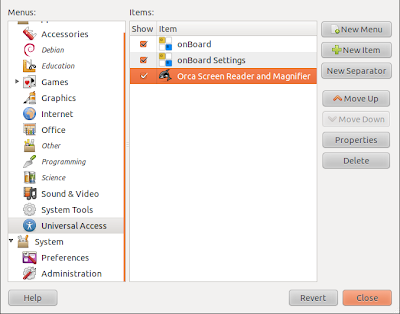 Ubuntu includes an on-screen keyboard by default but most of us didn't ever see it. Did you? Go to System > Preferences > Main Menu. 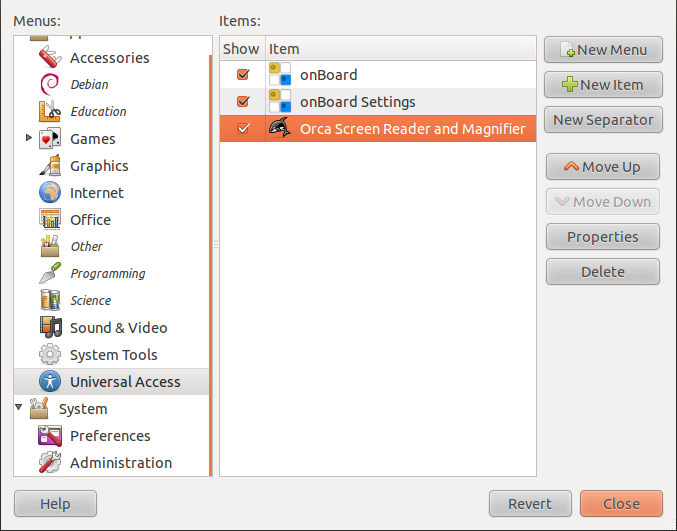 In the left pane select Universal Access then in the right pane tick 'onBoard', 'onBoard Settings' and also 'Orca Screen Reader & Magnifier' if you need a magnifier. That's it. Now you can access your virtual keyboard from Applications > Universal Access > onBoard and have fun.